If you are interested in legal New York sports betting opportunities, there are a few things you should know about the law of the land. First and foremost, you will not find sportsbooks located within the state due to federal sports betting laws. On the other hand, you will not find many laws on a state-level that concern themselves with betting on sports, especially when it comes to betting online. 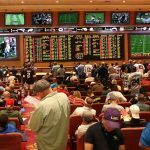 This leaves the door open for state residents to use online sportsbooks to safely bet on sports in N.Y. As you will soon find out, legal sports betting in New York all boils down to where you choose to place your wager. Betting on sports legally in New York starts with understanding both federal and state laws. From there, you will see be able to see why the legal sports betting industry generates billions of dollars annually. We will walk you through your land-based and online sports betting options, while also covering other types of gambling as well. Once you are familiar with the legal landscape of sports betting in N.Y., you will feel more comfortable betting on your favorite teams. Land-based sports betting is not legal in New York, nor is it permitted in the majority of the United States. The Professional and Amateur Sports Protection Act of 1992 (PASPA) prohibits sports betting in all but four states- Nevada, Delaware, Oregon, and Montana. These states were grandfathered into the federal law due to their pre-existing sports betting laws. Nevada remains the only state with single-game wagering, while Delaware offers NFL parlay cards. Oregon and Montana are legally authorized to offer sports lotteries, but have opted not to exercise their right. 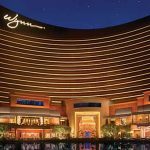 PASPA is the reason why you will not find traditional sportsbooks outside of Nevada. The federal law was enacted as a way to stop the expansion of sports betting in the United States, but it has not been successful. New Yorkers and other USA citizens may not be able to bet at local sportsbooks, but unregulated online sports betting sites bring in more than $300 billion each year. If you also add in the billions generated by Las Vegas sportsbooks, it is clear to see that the sports betting industry in the US is still thriving and the federal ban should be reconsidered. Online sports betting is not considered illegal in New York, as there are no laws regarding this type of betting. When exploring New York State Penal Law and the New York Constitution, there is no mention of using the internet to bet on sporting events. In fact, state lawmakers have yet to pass any laws regarding online gaming. New York residents are able to safely bet on sports using offshore online sportsbooks. These sites are operated overseas but are still governed by a gaming authority in their jurisdiction. Local bookmakers are illegal in NY, which is why online sportsbooks are the best option for legal New York sports betting. There are no physical locations to bet on sports in New York. You can thank the Professional and Amateur Sports Protection Act for the lack of sportsbook locations. The only way to bet on the Brooklyn Nets or New York Knicks is to join an online sports betting site. The good news is that there are dozens of sites to choose from, each offering betting lines on the sports that you love. Betting on sports from your computer or smartphone is the most convenient way to wager. You can avoid booking a flight to Las Vegas or Delaware, and you can put more money toward your actual sports bets. The only way to bet on sports in N.Y. is to join a legal New York sports betting site that operates offshore. Where’s The Closest Place To Bet On Sports In New York? New York sports betting sites are the preferred way for residents to bet on sports. Going to a Vegas sportsbook or heading to Delaware to bet NFL parlays is not something that can be done every day. Online sportsbooks, however, are open 24/7 and require no travel time whatsoever. You can join a site for free and immediately start betting on the New York Knicks or any other team that you root for. N.Y. sports betting sites are not regulated by the state gaming commission and are instead based overseas. 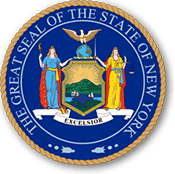 The sites are regulated in places such as Costa Rica, Panama, and Antigua, but are still licensed to accept players from NY and the rest of the USA. Many of these operators have been serving US sports fans for decades, which attests to the overall trustworthiness of the sites. For legal New York sports betting, using an online sportsbook is the best option. The New York sports betting and gambling laws can be found throughout the New York Constitution and New York Penal Law. Article 225 is dedicated to gambling offenses. NY PEN § 225.00 defines gambling as risking something of value based upon the outcome of a contest of chance in return for something of value based on a particular outcome. 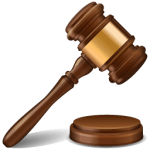 NY PEN § 225.35 states that newspaper articles, magazines, and other publication can be used to prove the occurrence of a sporting event should a person be accused of a gambling offense. New York, like most states, does not have specific laws that define or prohibit sports betting. The state instead relies on federal sports betting laws such as PASPA or the Wire Act. The absence of laws at a state level works to the benefit of sports bettors, as there can be no penalties for laws that do not exist. Read more about US states with legal sports betting here. Sports fans of the state can look forward to the future of legal and regulated sports betting in New York. Policymakers in the Empire State have proven to be advocates of a regulated sports betting environment. State Senator Tony Avella introduced NY S01282 * http://assembly.state.ny.us/leg/?default_fld=&bn=S01282&term=2017&Summary=Y&Actions=Y&Text=Y&Votes=Y * as a constitutional amendment to the current casino and racetrack language. The bill would permit licensed facilities to offer sports wagering on professional and collegiate sports. Assembly member J. Gary Pretlow has also expressed interest in bringing legal sports betting to the state of NY, which means we may see another sports betting bill proposed in the future. Outside of New York, there are other legal actions taking place that could benefit NY sports betting in the long run. The state of New Jersey is close to wrapping up its nearly six-year battle for legalized sports betting. The U.S. Supreme Court will issue a ruling regarding whether or not the state can legalize sports wagering, and could possibly decide that PASPA is unconstitutional. On a federal level, the House Energy and Commerce Committee has released a draft bill titled the Gaming Accountability and Modernization Enhancement (GAME) Act. The GAME Act would repeal PASPA and allow each state to determine whether or not to regulate sports betting. State governments would have authority over all types of gambling, both land-based and online. All of the proposed and potential sports betting legislation would be challenging the current federal law that prohibits sports betting in the US. If PASPA is deemed unconstitutional and repealed, New York is already starting to establish the regulatory framework for betting on sports. If the U.S. Supreme Court rules favorably in the NJ sports betting case, we can expect to have legal New York sports betting opportunities shortly thereafter. New York is home to some of the most diehard sports fans in the nation. The Empire State is one of the most diverse places in the world, with sports fans taking interest in everything from football and basketball to hockey and rugby. You can bet on Syracuse Orangemen if you prefer collegiate sports, or bet on the Buffalo Bills if you’re an NFL fan. There are more than a dozen teams that hail from New York and online sportsbooks give you the opportunity to wager on them all. The history of horse racing betting in New York goes back for centuries. In 1665, the Newmarket Course in Hempstead Plain became the first Thoroughbred horse track America. Over the years, more tracks were built in the state, including the Aqueduct Racetrack in 1894 and Saratoga Springs in 1863. The most notable racetrack is Belmont Park, home to the final jewel of the Triple Crown. Millions of horse enthusiasts bet on the Belmont Stakes each and every year. Whether it is on the track, an OTB location, or an online racebook, New Yorkers love to bet on the horses. There are also mobile racebooks that give you the option of betting on horse races at hundreds of racetracks while on the go. Though fantasy contests are popular all over the U.S, daily fantasy sports in New York is big business. The state is said to be the largest in terms of gaming revenue and users for the DFS industry, at one point accounting for 10% of all DFS revenue. 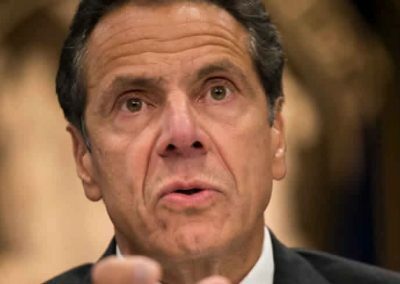 New York Governor Andrew Cuomo signed NY SB8153 * https://www.nysenate.gov/legislation/bills/2015/S8153#yes * into law on August 3, 2016. 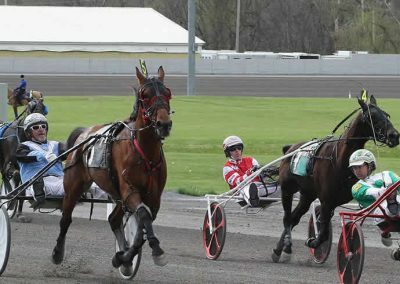 The bill amends the Racing, Pari-Mutuel Wagering, and Breeding Law by adding in Article 14 which authorizes the regulation of fantasy sports contests. Though many operators were forced to leave the NY market for a brief period before the law was passed, all major DFS sites are back to business as usual in the Empire State. Does Draftkings Accept New York Residents – Yes!! Millions of sports fans are playing on DraftKings in New York. DraftKings is widely known as the leader of the daily fantasy sports industry. There are more than 10 sports to choose from at DK, including NFL, NBA, MLB, PGA, NHL, NASCAR, MMA, CFL, and soccer. There are numerous contests to choose from, such as guaranteed prize pools, beginner contests, free contests, multipliers, qualifiers, and more. You will be able to select your contest from the lobby, and then use your $50,000 salary to pick your players. The more points your team accrues, the larger the cash prize. Does Fanduel Accept New York Residents – Yes They Do!!! Playing on FanDuel in New York is fun for several reasons. For one, you have a huge selection to sports to choose from that range from NFL football to WNBA basketball. You can also find contests for NBA basketball, PGA Gold, Champions League, NHL hockey, and more. If you are a new player, you can try out the beginner contests to build experience. There are contests that you can play for free or those that you can play for huge cash prizes. “Friends Mode” is one of the best features as you can set up leagues with as many friends as you like. Pick your contest, hand pick your roster, and start scoring points to win. Can I Bet Real Money On Sports In New York? You can bet real money on sports in New York with online sports betting sites. Real money sports betting sites can make watching the Mets or Rangers even more exciting, as anything is more exciting when you have a few bucks on the line. You can bet as little as $1 with most books, and high rollers can place wagers of $5,000 or more. Real money sports betting sites make it simple to put money in your account with reliable deposit methods, and make it even easier when it comes time to withdraw your cash. 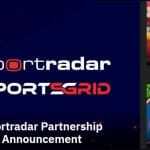 You can use your Visa, MasterCard, bitcoin, or even MoneyGram to start betting real money on sports today. Is Online Sports Betting Safe In New York? Online sports betting is safe in New York when you use reputable offshore sportsbooks. Legal New York sports betting sites accept residents every day. These sites use the latest technology and encryption protocols to keep your financial information protected. All of the banking methods are 100% secure, with plenty of convenient options to choose from. 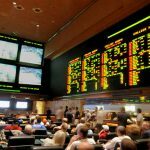 You can trust online sportsbooks operators that have been in the industry for decades or more, and have built reputations for catering to US players. Will Sports Betting In New York Ever Be Legal? Sports betting in New York could be legal within the coming years. 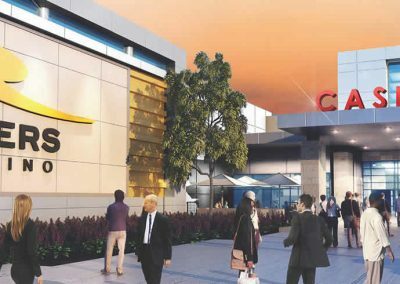 The state has been relatively gambling-friendly, with plans to expand gaming on all levels. If the Professional and Amateur Sports Protection Act (PASPA) were to be repealed or amended, New York legislators have already expressed that regulated sports betting would be introduced to the state. Depending on if and when PASPA is off the table, N.Y. residents will be able to bet on the New York Yankees and other teams at local sportsbooks. Will I Get Arrested For Sports Betting In New York? As long as you use a legal New York sports betting site and not an underground bookie, you will not get arrested for sports betting in New York. While we are not lawyers, we can say that a New Yorker has never been jailed for using an offshore online sportsbook. Casual online bettors are not the focus of state or federal gambling laws, which means the chances of getting in any trouble are slim to none. What Is the Sports Betting Age In New York? The sports betting age in New York is 21 years old. Once you are 21, you can join any online sportsbook of your choosing. As online sportsbooks are based overseas, you may come across books that accept players at age 18. You will still need to abide by the legal New York sports betting age in order to stay in compliance with state law. If you were to join before turning 21, it would be considered underage gambling which could result in account termination. Find a list of the legal sports betting ages by state. Are There Mobile Sports Betting Apps Available In New York? There are plenty of exciting mobile sports betting apps available in New York. Nearly every online sportsbook that accepts NY players will also have a convenient mobile betting platform that can be accessed from your iPhone, iPad, or Android device. Instead of having to download a separate app, you can typically visit the online sportsbook from your mobile device to be automatically redirected to the mobile sports betting site. The same sports, wager types, and account functions will be available from the palm of your hand. 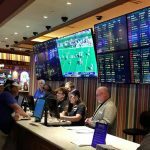 Where Is The Best Place To Bet On Sports In New York? The best place to bet on sports in New York is from your laptop or home office. As there are no sportsbooks located in NY, online sportsbooks are the only way to physically remain in the state while betting on the New York Giants and other teams. You will have all of the sports betting action you need from the comfort of your home. What Happens If I Use A Local Bookie In New York? If you use a local bookie in New York, you will be at risk of paying fines or facing jail time. Bookmaking is illegal in N.Y., meaning that any local bookie is committing a crime. Charges can be as minimal as a class A misdemeanor, or as severe as a class E felony. Visiting a licensed sportsbook or using a legal sports betting site are the only options for safe sports betting. Read more about local bookies here. Do Any Casinos In New York Have Sports Betting? There are no casinos in New York that have sports betting opportunities for patrons. PASPA makes all forms of land-based sports betting illegal in most states, whether at a standalone sportsbook or inside of a casino. 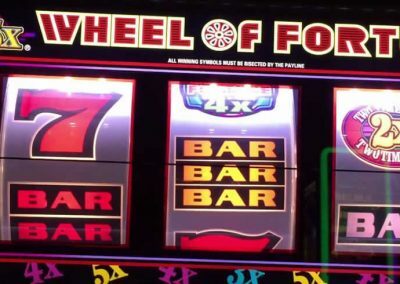 You will find traditional games at the casinos in New York, such as roulette, poker, and slots. The only states that have sports betting within their casinos are Delaware and Nevada. Can I Bet On Sports With My Friends In New York? You can bet on sports with your friends in New York because social gambling is considered legal. The law does not give the greatest distinction between what constitutes social gambling versus illegal gambling, which is why many sports fans prefer to wager online. There are no restrictions on the types of bets or wager amounts that you and your friends can place. You can use any US-friendly online sportsbook to bet on sports with your friends.